I got a copy from a family member I discovered recently. A relative Frederick Couchman was among the crew who did not survive. I wrote last year enquiring about my great Uncle, Percy Stewart Larman who died aboard the Natal when the explosion occured. The ship's records show he was a private, but a newspaper article at the time said he had just been promoted sgt., that he had been a seaman for 11 years and that he had two medals at the time of his death. Besides knowing he was the son of Lucy Maud (nee Dibben) and Joseph George Larman (my maternal great grandparents), I don't know much about him. 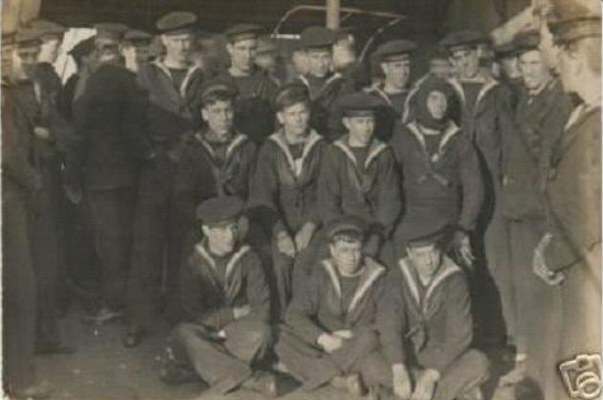 I only have two photos of him and am wondering if anyone can tell me if he is in the group photo of the crew posted on this site. I would welcome any information about him. Meanwhile,will try and send you a copy of the photo I have scanned of Percy for you to add to the growing collection of photos concerning the Natal.